Moycullen are on the road to Cork on Saturday for a clash with CandS Neptune, looking to put some points on the board before welcoming Swords Thunder to NUI Galway on Monday Oct 29. Moycullen, having fallen to their perennial Superleage rivals UCC Demons by 71-64 at the weekend, will be keen to take advantage of a Neptune outfit which is currently currently without a win. A poor second half performance proved costly, and Moycullen will be kicking themselves for letting this one slip. The home side had more than their fair share of chances to put the game away in the final period, but they were outworked by a gritty Demons side. They began the game positively - an early UCC lead was quickly extinguished through some excellent defensive work. Isaiah Harris-Winn and Paddy Lyons pushed the ball on the fast break early and often, and their contributions gave Moycullen the narrowest of leads by the end of the first quarter. Harris-Winn continued to carry the scoring load for Moycullen in the second. A deep three-pointer, and an acrobatic layup brought the Moycullen fans to their feet, and edged the home side ahead by six with a couple of minutes played. Thereafter, the sides went score-for-score before Cian Nihill hit a jumpshot, and a Paddy Lyons steal led to a sweet layup from Moycullen youngster Paul Kelly on the other end to put Connacht ahead 38-34. However UCC looked a different side in the second half, opening with seven unanswered baskets. Their star man, Irish international guard Kyle Hosford, only arrived at the game at halftime due to GAA commitments in Cork, and his introduction pushed UCC’s offence into a higher gear. 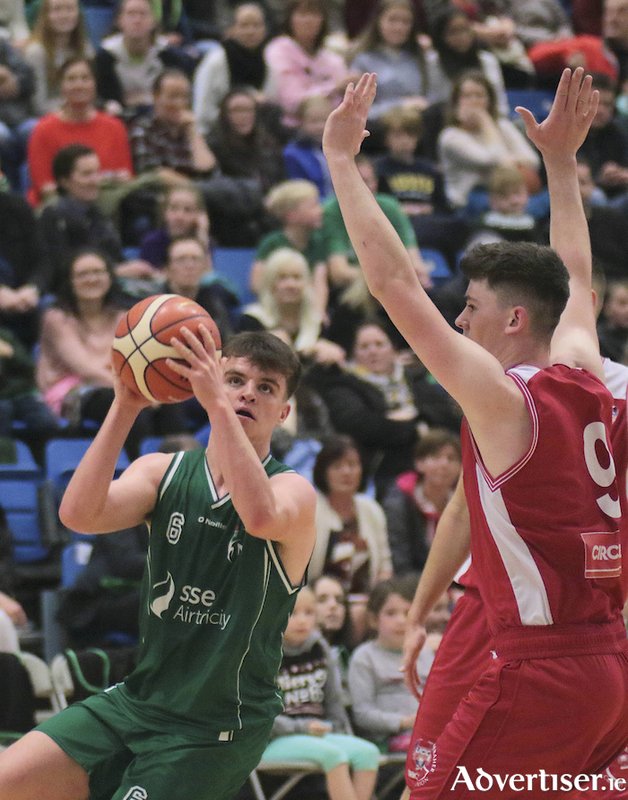 Moycullen worked hard for scores with Dylan Cunningham and Joseph Tummon each chipping in a pair of baskets to cut Demons’ lead back to two, and when Joseph Tummon sank a pair of free-throws, the game was tied. However Demons began to edge ahead once more, as the Connemara men missed some important free-throws and committed some costly turnovers, while UCC’s bigger size allowed them to secure some offensive rebounds. Moycullen tried in vain to contain Kyle Hosford of UCC who, remarkably, led all scorers in the game with 23 points, all of which came in only one half of action. Moycullen: Isaiah Harris Winn (20 ), Dylan Cunningham (9 ), Joseph Tummon (8 ), Kyle Cunningham (7 ) Cian Nihill (7 ), Paul Kelly (7 ), Paddy Lyons (6 ), Conor Curran, Josh Marvesley, Dara Kenna.